Having a pet and a baby to look after at the same time, though, wasn’t that easy. More than the time – which we could always manage – the expenses that come with it is what makes having a dog and baby a little awkward. We need to work doubly hard to save for our child’s vaccination and everyday needs. We also need to allot a specific budget for Bernie’s needs. Despite the challenge, we still push for a dog. 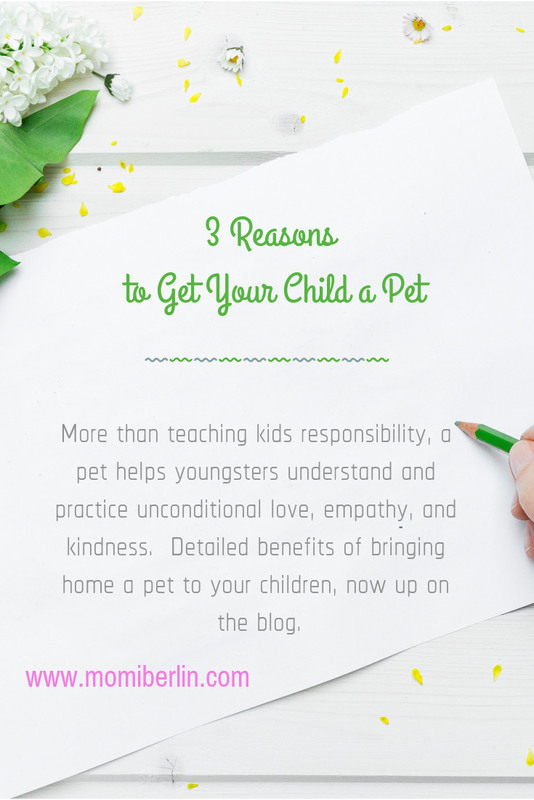 Husband believes that there are many benefits a pet can provide for kids. The payoff of sharing the house and your life with a Labrador is all worth it. More than teaching kids responsibility, a pet helps youngsters understand and practice unconditional love. Enumerated here are some of the advantages we gained from having Bernie. We have noticed that our Firstborn is less worried compared to his peers without pets. He can be more relaxed than others; perhaps, he has his pet to turn to for emotional support. Our child also learned compassion and empathy. By taking care of Bernie, he learned how to treat others with kindness and respect. Our Firstborn knew how many cups of dog food Bernie should eat each meal. He was also responsible for changing our pet’s drinking water regularly. Though only three years old that time, our Firstborn accepted the challenge to be Bernie’s buddy. He fed, played with, and even walk with him. I find him more matured than most kids his age. Aside from their regular walks, Firstborn loved to play with Bernie. I would hear him giggling most of the time as Bernie licks his hands and sleeps on his lap. 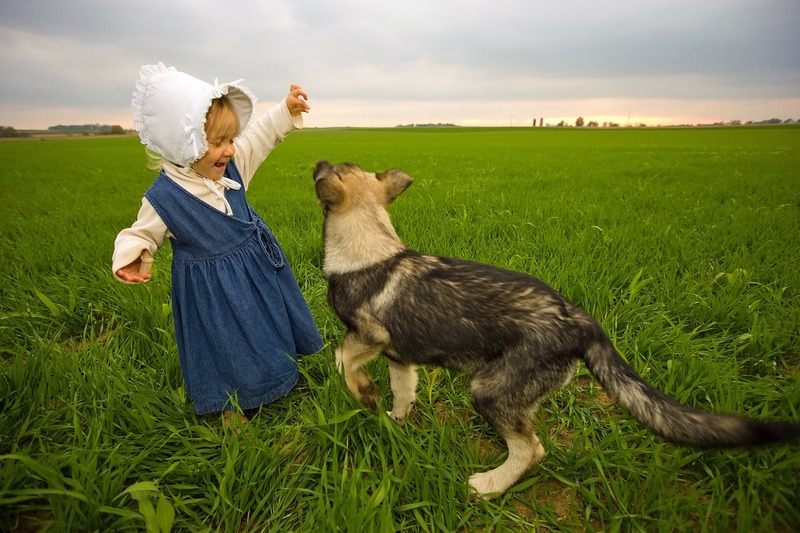 With a pet, our child began to appreciate the outdoors. He developed his love for running and many outdoor sports like soccer and badminton. Having a pet also helped us manage our son’s love for screen time. There were many times, too, that he would put down his iPad in favor of playing with Bernie. There are a dozen and more positive reasons for bringing home a pet to your child. Youngsters with pets display improved social skills, even self-confidence, and impulse control. Cuddling a pet alone reduces loneliness and even anxiety. To add, in our experience, Bernie forged an additional common bond between husband and Firstborn. And I must admit, too, that Bernie was such a compassionate buddy. He lived his life as a great entertainer, teacher, and protector to us all. And he was deeply loved and missed. Wow natuwa ako reading this. We have 6 pet dogs at home. Pansin ko na mahilig ang 16months old ko sa aso. Hinahaplos nya sa ulo yung isa sa mga aso namin, gustong gusto naman nung isa. With extreme supervision lang syempre when I let him oet our dogs. Ang ganda momshie berlin gusto ko rin mag alaga kasi i know happiness rin yun sa mga bata kaso lang di gusto ni hubby dagdag gastos daw ..
Yung 1st born ko nag alaga yung byenan ko.ng aso . Sbi kc nya para dw may bantay kami kpag wala sila. Natuwa nman aq kc mahilig din aq sa aso then kpag tulog ung anak ko nilalaro ko sya . Kinakausap nkatingin lang sya sken na parang nakikinig din sya . Nakakawala rin sya ng Puyat kpag kausap q sya kc talagang gusto q sya . Kaso namatay din sya eh kc Nilason daw sbi ng kapitbahay Namin. Kaming mag-asawa mahilig sa pets meron kaming lovebirds at 3dogs, super nakakatulong din sa lo’s na maging reaponsible sila sa mga bagay bagay at nakakatulong sa 1stborn ko na magsalita hahah kinakausap kasi niya nakikita niya kasi na kinakausap ko mga dogs namin bago pakainin, paliguan at kapag napapagalitan dahil sa may nagawang kasalanan.